Standard - €11.99 Only 1 left! "Punching all those bricks is really hard on my hands man." Said Luigi to Mario. That is when Mario handed Luigi a set of Adult Super Mario Hands to help him. In the Mushroom Kingdom the hands are perfect for the challenges the Mario Brothers face. They really need the hand protection for all the plumbing and socking bad guys. Bowser can really cause some damage to the hands if they aren't protected. The gloves are stuffed between the lining and shell for an over sized appearance. They are not meant for punching things in real life, rather just to look good with your Mario or Luigi costume. 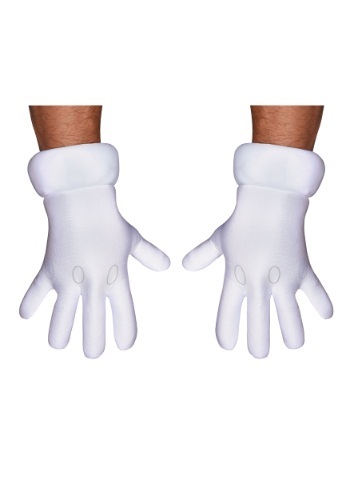 Get ready to have an awesome Halloween, or Super Mario themed party using the Adult Super Mario Hands to show off your video game skills.